There has been already a lot of comparison about Blogger and WordPress in the past. If you’re one of those who is into serious blogging business and have a long term vision then shifting to self-hosted WordPress blog is still a very good idea. In 2016, WordPress has a lot to offer to its users than yesteryears. WordPress has a large pool of free and paid plugins which can be installed right from your WordPress dashboard. There are plugins which makes difficult things easier for bloggers and because of that bloggers can work more on their content than designing. Whether its creating a sitemap or its simple widget on the sidebar, WordPress has plugins for all. Whereas in Blogger, its still same old widgets which doesn’t provide enough modern functions. WordPress is equipped with a lot of free and paid themes. The designs are very elegant, attractive, modern and responsive. You don’t have to worry about how your themes will look on high-end devices because most of the WordPress themes takes care of it. You can easily modify most of the themes with widgets and other tools to suit your need. Whereas in Blogger, its still some coding involved to fit your website in every size of screens. Most of the hosting providing companies offer 1-click installation or managed WordPress hosting. Now, there is no need to worry about downloading WordPress and installing it to your cPanel or ftp client. 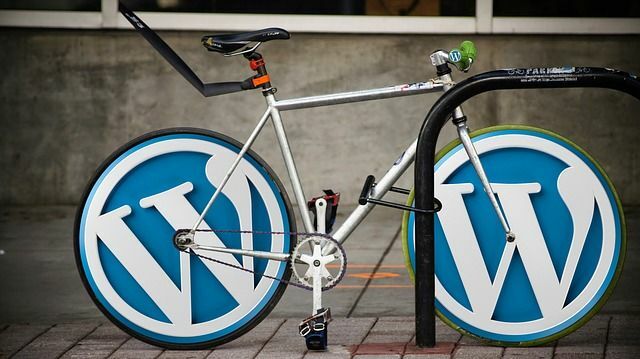 With 1-click WordPress installation, everything is ready in just as less as 10 minutes. In 10 minutes, you can just start off with your first post on your website. This also saves a lot of time of bloggers who otherwise used to get stuck with all technical stuff. Whereas, in Blogger you still share hosting on Google’s server and limit your website’s exposure. WordPress has support forum where most of your doubts and queries are cleared within few hours. So if you stuck around while installing plugins or you mess up with coding then people are always there to help you. It has active members and also active plugins’ authors who doesn’t hesitate to help other fellow members. Most of the questions are already answered and that is the beauty of the WordPress forum. Whereas in Blogger, you still have to search answers for your queries from search engine and also it lacks active communities. Undoubtedly, Blogger is good for complete novice and newbie bloggers for hands on. Its a good idea to start blogging with Blogger blog to know what essential things you need to concentrate on while writing a blog. If you blog only for your hobby or to showcase your talent then Blogger still stands as a very good option. Blogger also has some advantages over other free blogging platforms like Tumblr, WordPress.com etc. As you grow, shifting to self-hosted WordPress blog will be the feasible option for your blogging business.